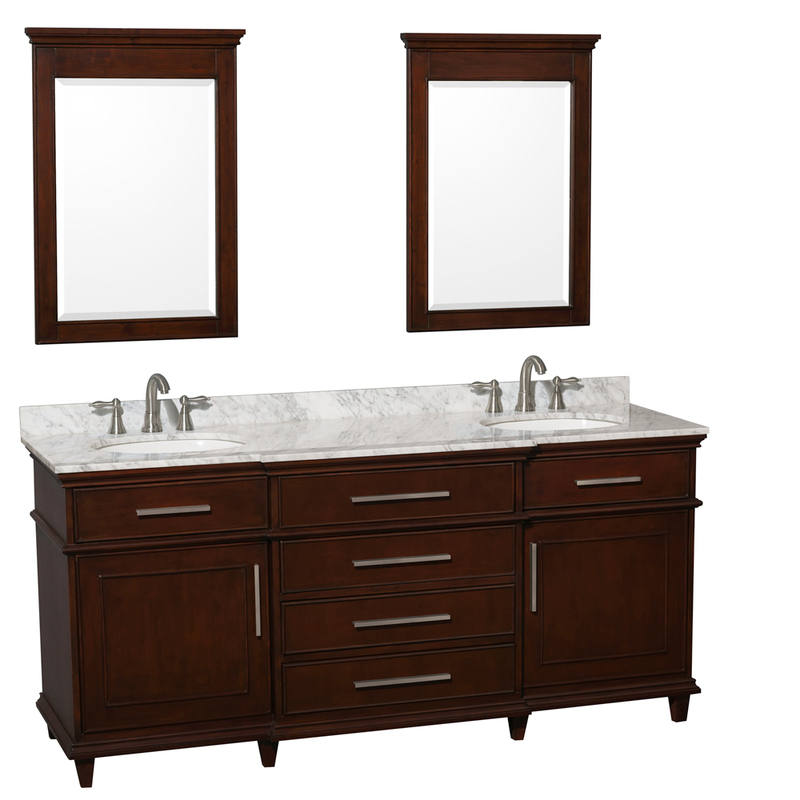 Boasting a Dark Chestnut finish over a solid birch cabinet, the 72" Berkeley Double Sink Vanity is made to be the centerpeice of any bathroom. Its traditional style comes from its Antique Bronze hardware that adorn the two single-door cabinets and four soft-closing drawers that provide a functional aspect to your vanity. 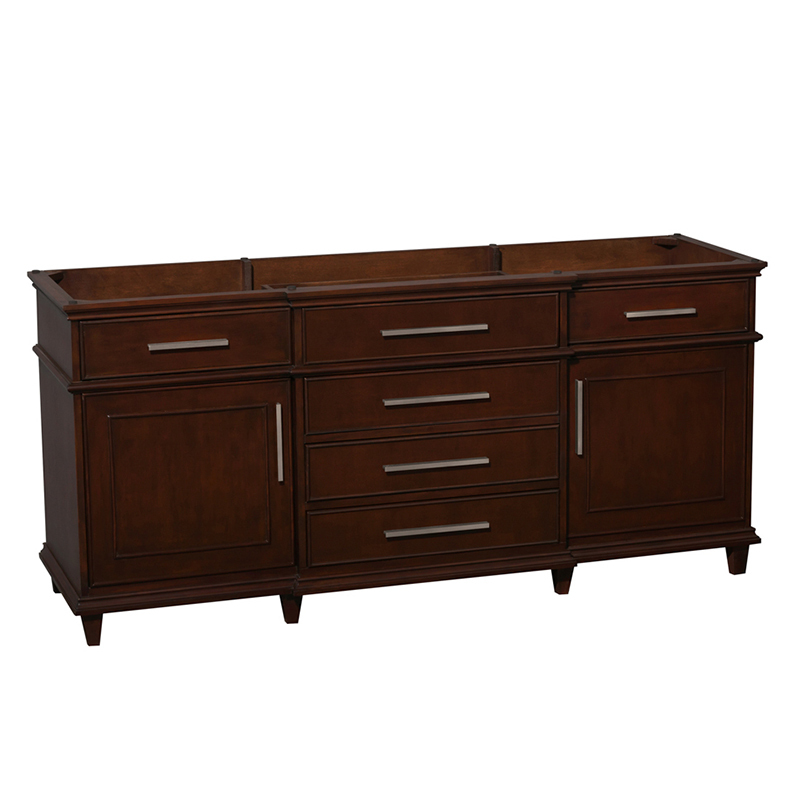 Each drawer and cabinet door is adorned with an Antique Bronze handle. 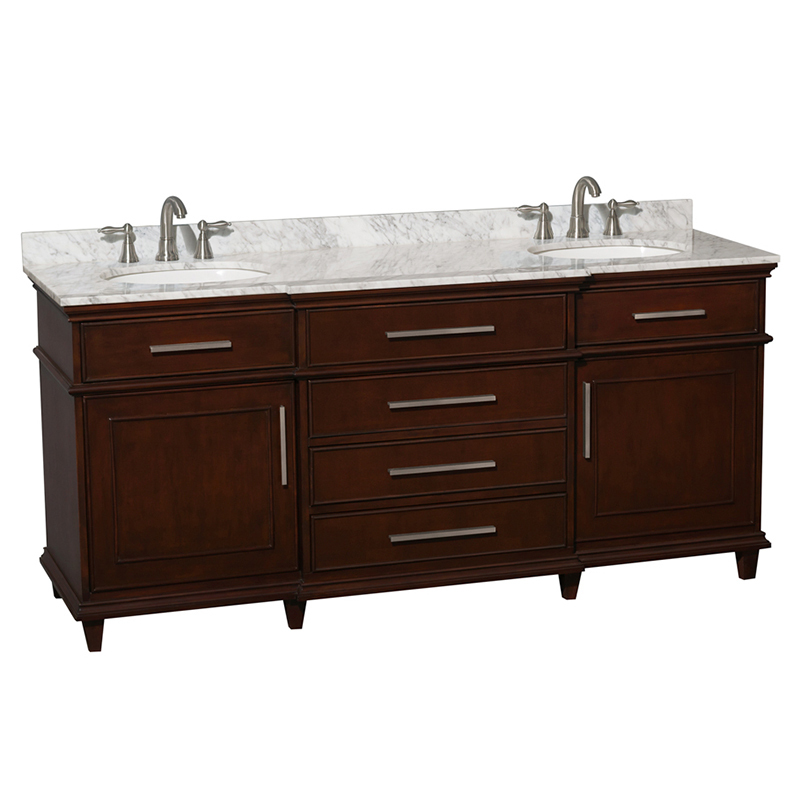 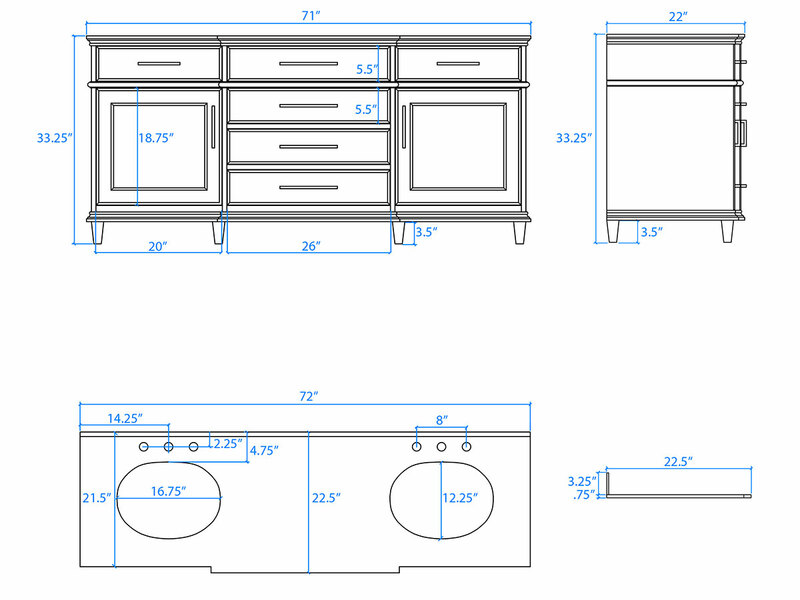 The top is available in Cream Marble or Carrera White Marble with a backsplash and two porcelain undermount sinks. 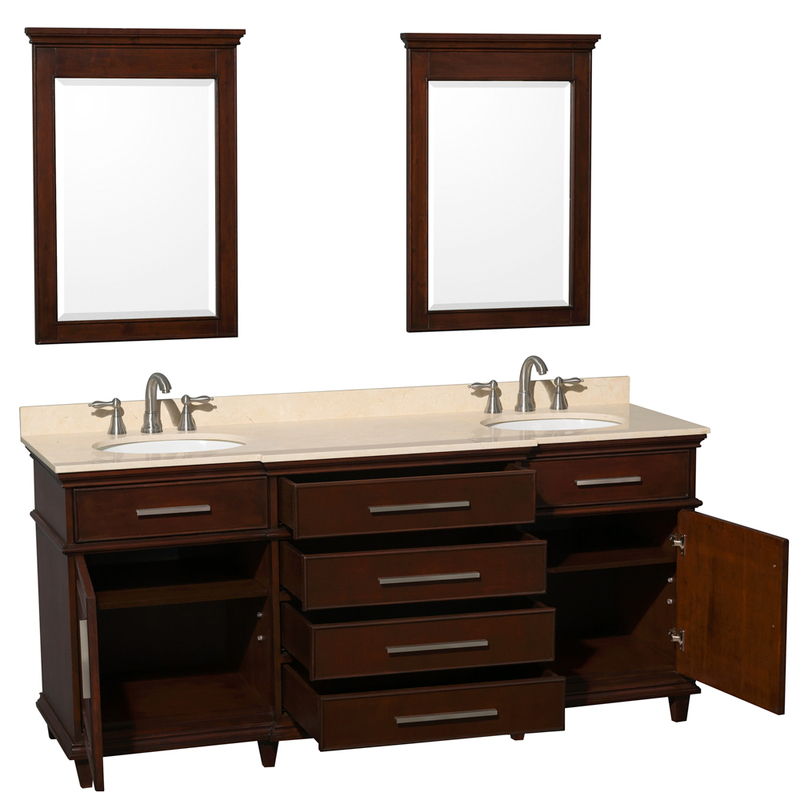 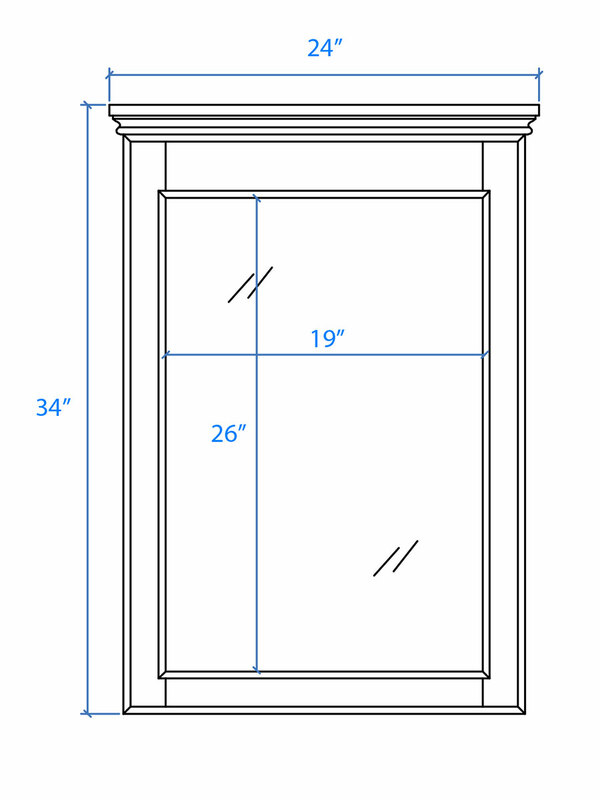 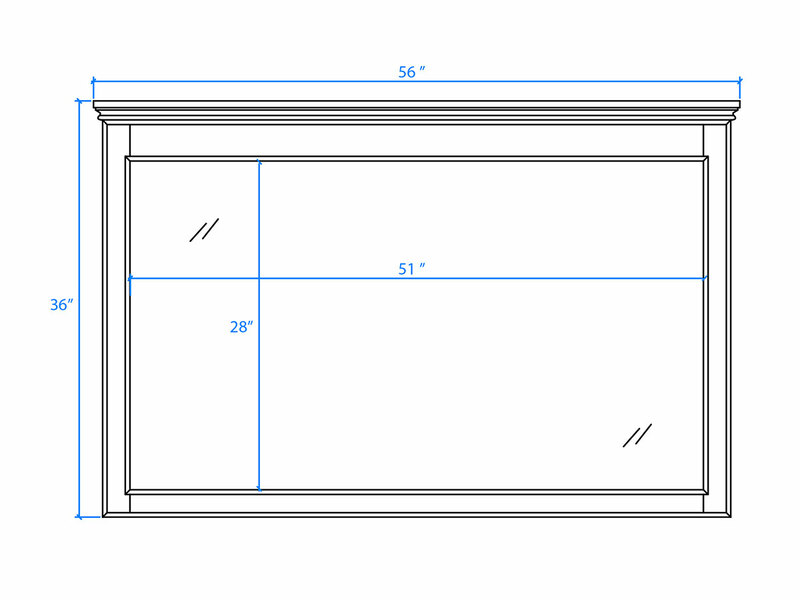 Add two small mirrors or a large mirror to go with your new vanity.